Steve Woltmann | Loyola Athletics Porter Moser on the sideline, during a game against Alcorn State. 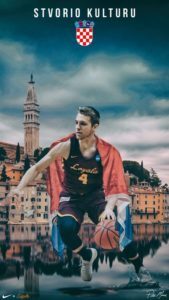 Loyola men’s basketball head coach Porter Moser now has another roster spot to fill for next season after an unexpected departure Friday. Guard Tykei Greene — who was set to be an first-year at Loyola next season — is no longer enrolled at the university and will attend Manhattan College next year, he announced on Twitter Friday night. In a separate tweet, Greene praised the Loyola coaching staff and said he was grateful the coaches offered him an opportunity to play. In a third tweet, Greene said the decision to attend Manhattan was so he could be closer to his family. “This decision was tough but being close to my family and support system is the most important to me,” Greene tweeted. This decision was tough but being close to my family and support system is the most important to me. The NCAA allows men’s basketball teams 13 scholarships spots. The loss of Greene leaves Moser with two scholarships left to fill instead of one, as The Phoenix reported June 28. Moser can sign either an incoming first-year or transfer student to a financial aid agreement — which is less binding than a National Letter of Intent — during the July recruiting period. Moser can talk to recruits from July 11-15, July 18-22 and July 25-29, according to the NCAA. Too bad. At least he did it now and not during the season.